Korean artist Sooya is known for her gorgeous art toys/dolls which she hand makes in bisque (porcelain). While the shape of her signature Ban bunny-child character is quite nice, her life-like painting of the figure's faces separates and elevates her works. Over the past year or so, she's also released soft vinyl versions of Ban primarily at Asian conventions including BTS and TTF. As far as we know, she hasn't done an online release for the soft vinyl editions until now. She's currently offering her 'Ban of Chucky' soft vinyl toys(edition of 25) via e-mail lottery. Inspired by the cult horror film, the new edition closely follows the original Halloween custom created for display at TTF. 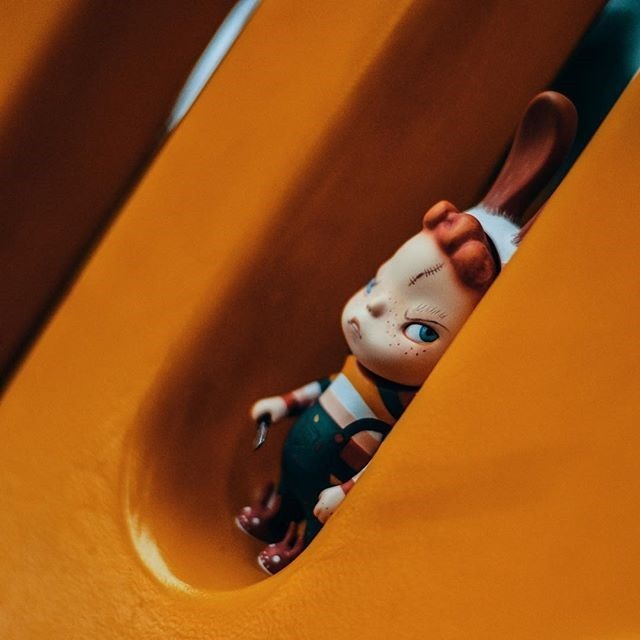 The detailed design features the red-haired threat in a striped hoodie, his iconic overalls and a pair of removable bunny slippers. As with her bisque figures, this one is all about Chucky's face—his life-like features and expression are bound to draw collectors in. To purchase Ban of Chucky ($190 + $20 shipping), enter the lottery by sending an email with 'Ban of Chucky' as the subject to [email protected] with your name, Paypal address, Mailing Address, Phone Number and Instagram ID. The deadline to enter is 2:30 AM on Friday (1.18). Happy hunting. Martin Ontiveros' Glampyre is ready to ride and battle baddies in style. 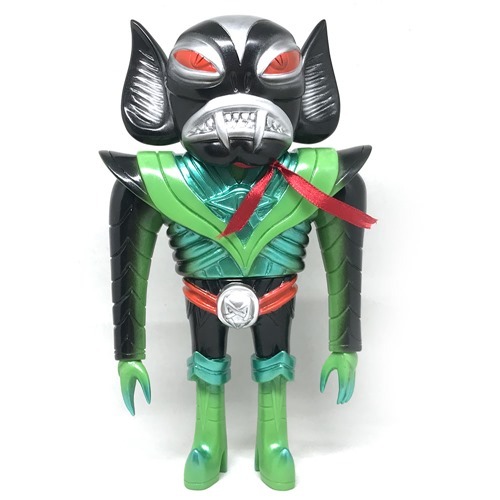 Featuring the classic colors, the new Raging Rider edition is inspired by the iconic Japanese superhero known for his insectoid costumes and his matching motorcycles. This nicely done homage features detailed paint which cleverly transforms the well-suited sculpt into the legendary monster fighter. The two shades of green play well off each other and add depth and definition. The Glampyre Raging Rider (w/red ribbon scarf) drops on Friday (1.18) at 12 PM PST for $75 from the TAG Web Shop. The force that is TEQ63 continues to roll with new editions and announcements breaking regularly. 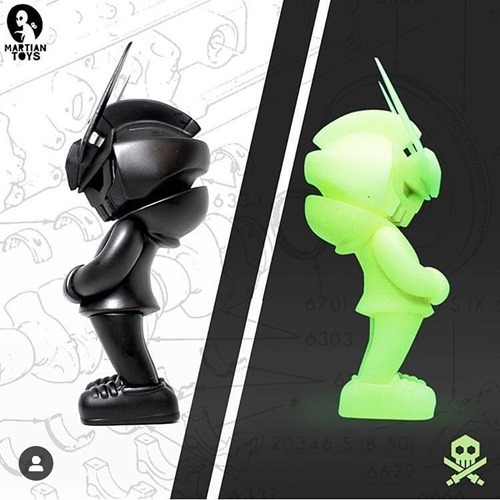 Next up are the Black and GID DIY editions of the extremely popular QUICCS x Martian Toys vinyl toy. if you're itching to customize a TEQ63 figure or dig the simplicity of blanks, these should proved to be tempting. Limited quantities of both the Black ($35) and GID ($40) DIY editions will be available this Friday (1.18) at 12 PM PST direct from Martian Toys. Another batch will be available in March.